(May 17, 2018 Virginia)- We are proud to announce that Loudoun County Public Schools has approved an exertional heat stroke (EHS) protocol that includes the use of rectal thermometry. We hope this decision will encourage other secondary school districts in the state of Virginia and throughout the United States, who are having difficulties convincing their administrators the vital importance of rectal thermometry, to continue their pursuit. In the past, our school district administration was adamantly opposed to approving rectal thermometry. They denied our athletic trainers, on numerous requests, permission to purchase and use rectal thermistors. Ironically, this past fall, one of our student-athlete cross-country runners suffered EHS during a championship meet. The athletic trainers and EMS volunteers immediately assessed the student-athlete’s internal body temperature at 107.7°F via rectal thermometry, placed him in an ice water immersion tub and didn’t transport him to the ER until his internal body temperature dropped to 102°F. Fortunately, the student-athlete was released from the ER later that night with no organ damage and made a full recovery. By following best practice guidelines in the treatment of EHS, the athletic trainers and EMS volunteers, almost certainly prevented a catastrophic outcome. This incident, once again, brought the need for our school district administration to approve the use of rectal thermometry in the treatment of EHS to the forefront. After an eight-month process to help educate the administration on the vital importance of rectal thermometry, we finally received consent and this policy is now officially part of our EHS protocol. This policy implementation would not have been possible without the support of several individuals. First and foremost, we had the support of our Athletics Supervisor. Second, we received support and the go ahead from our Health Services’ Supervisors and Director. Third, we received support and further go ahead from our Risk Management Supervisor. Then finally, we received approval from our School Administration Director to include our EHS protocol in the LCPS policies and procedures section of the student-athlete handbook. The key to our success was a team effort approach. With help and support from many individuals most notably, the LCPS athletic trainers, the orthopedic physicians and staff from The National Sports Medicine Institute (NSMI), the researchers at the Korey Stringer Institute (KSI), Dr. Kevin Miller at Central Michigan University, and Darryl Conway at The University of Michigan, we were finally able to convince our administration to allow the medical professionals in the school system to make the medical decisions and act within published best practices. 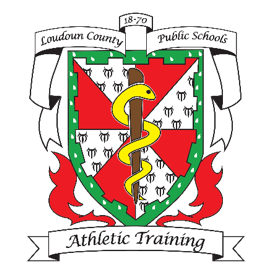 With patience and perseverance, the LCPS athletic trainers were able to accomplish the goal of getting an appropriate EHS protocol approved to ensure the future health and safety of LCPS student-athletes who may suffer from EHS. 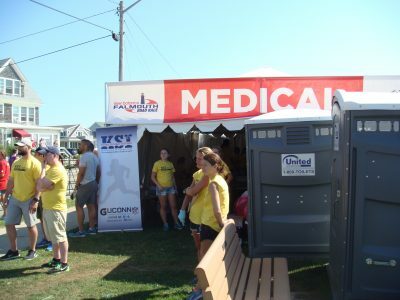 Our summer is not complete without going to Falmouth, MA, to work at the New Balance Falmouth Road Race medical tent and continue our research and educational initiatives. 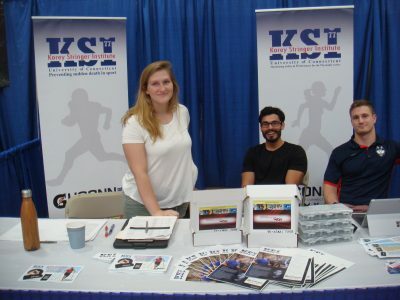 We have been very fortunate to have the support from the race board members to have KSI presence at the pre-race medical symposium, health & fitness expo, and at the race as medical volunteers and research staff. With a host of medical volunteers and invited guests in attendance, this year’s NB Falmouth Road Race Medical Symposium featured presentations on a range of relevant topics including recognition and treatment of running-related orthopedic injuries, physiological concerns when developing strategies to optimize performance in the heat, and wearable technologies that can assist in optimizing performance. Veteran NB FRR orthopedic medical provider, Dr. Don O’Malley, drew upon his experneces to give a thorough review of his top 10 running related orthopedic injuries. 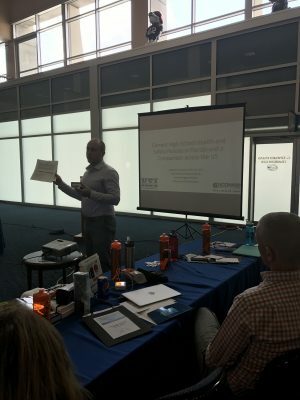 Dr. William Adams, a member of KSI’s medical and science advisory board and current assistant professor at the University of North Carolina at Greensboro, presented on physiological concerns and strategies when optimizing performance in the heat. 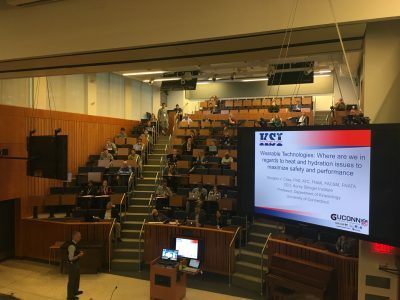 The third invited speaker was Ryan Curtis, MS, ATC, CSCS, Associate Director of Athlete Performance and Safety, who discussed integration of wearable technology to optimize performance in the heat. The symposium was concluded with our Chief Medical Officer, Dr. John Jardine, who also serves as the Co-Medical Director of the NB Falmouth Road Race. He briefed attendees on the logistics and chain of command that will be followed on the day of the race. Overall, the 2017 NB FRR Medical Symposium featured not only relevant topics in medicine but additionally offered a glance into the future of health and performance optimization. This year was our first time to participate in the Health & Fitness Expo as an exhibitor. The increased recognition of the KSI among the Falmouth runners was evident. We had many runners come stop by, and it was such a rewarding experience to have some of them share their personal stories about how they or their family members and friends were saved from exertional heat stroke by the NB Falmouth Road Race medical volunteers. 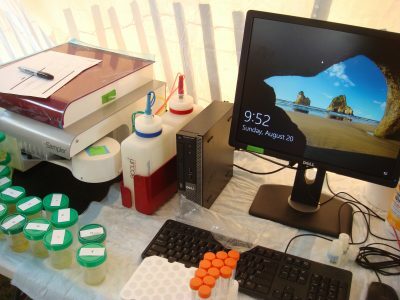 At the expo, we also met with this year’s study participants who already participated in a series of laboratory tests at the University of Connecticut in mid-July to early August. 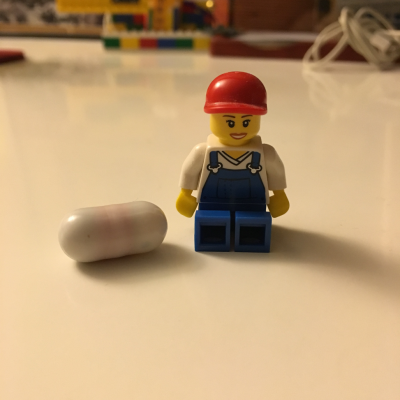 These runners were provided with an ingestible thermistor pill, which allow researchers to readily measure their internal body temperature on the day of the race. Race day for both medical and research volunteers started before dawn on Falmouth Sunday. The research crew set up the morning data collection booth at Lawrence School, which was where all runners met to get on shuttle buses to the starting line in Woods Hole. The research data collection included measurements such as participants’ gastrointestinal temperature, sweat rate, and pre- and post-race blood and urine collection. At the medical tent, medical volunteers gathered to review the triage protocol and proper methods for treating exertional heat stroke. Chris Troyanos, Medical Coordinator of the NB Falmouth Road Race, Dr. Jardine and Dr. Robert Davis, the co-medical directors, and Dr. Douglas Casa from KSI lead the group of veteran and novice medical volunteers so that the medical tent was ready for runners who would be finishing the 7.1-mile course in the forecasted warm and humid conditions. Findings from the NB Falmouth Road Race study will be analyzed over the course of the next several months and will be prepared for scientific presentations at the National Athletic Trainers’ Association and American College of Sports Medicine annual meetings in 2018. Earlier this summer, when everyone was relieved to have completed the spring sport season, we were invited to give a lecture and hands-on training for exertional heat stroke emergency at CoxHealth Sports Medical Conference in Springfield, MO. This was their second annual gathering to review and practice updated policy and procedures for athlete health and safety. Physicians, athletic trainers, emergency medical technicians, athletic directors and coaches of local high schools attended this meeting. During the hands-on training, multiple scenarios were practiced. For example, what do you do when the first responder was an individual who was not medically licensed? What is the chain of command when an athletic trainer is present and not present? What cooling modalities are acceptable? What precautions must be taken during cooling? This lab also reiterated the importance of cool first, transport second. I am happy to say that their updated policy specifically states to cool first and then transport after the patient’s rectal temperature is down to 102 degrees Fahrenheit and that no other measures of body temperature assessment is acceptable. Throughout the meeting, I was very impressed to see their collaboration and understanding of each other’s role and I know their athletes are in good hands. 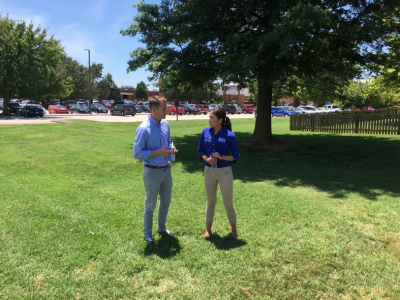 A month and half after the meeting, I received an email from CoxHealth stating that their emergency preparedness was put to a test– where an athlete was successfully recognized and treated for exertional heat stroke. 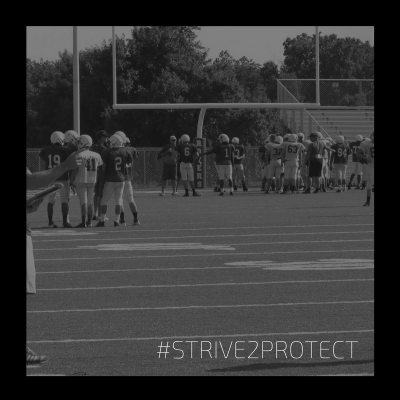 Sarah Bankhead (ATC, athletic trainer at CoxHealth), who treated the athlete, recalls the day as follows: When our athletes were putting away the blocking bags after practice, a coach noticed one of the athletes closing his eyes and beginning to fall over in the shed. The coach caught him and immediately called for help. The first coach to reach him checked his pulse and noticed shallow rapid breathing­­. The head coach called 911 and the other two coaches started putting ice in the groin, neck, and armpit areas. I, the athletic trainer, soon came over with a rectal thermometer, inserted it, and got an initial temperature of 108 degrees Fahrenheit. 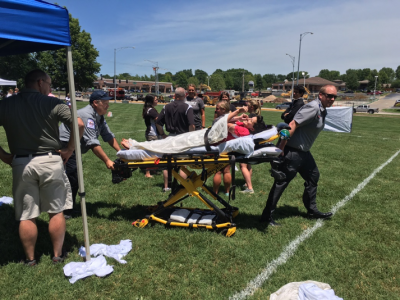 After confirmation of exertional heat stroke, a tarp was immediately place underneath the athlete and began to be filled with ice and water to start the cooling process before the emergency medical service arrived. We ensured that the athlete’s temperature was cooled to 102 degrees Fahrenheit, and then the athlete was transported via ambulance for follow up evaluation. The athlete has made a full recovery with no deficits thanks to the quick actions of those above, an effective policy in place, and the Sports Safety Summit which prepared my coaches to respond. The prevention of sudden death in sports begins well before a catastrophic injury occurs. It may be true that heroes are made in how they respond when they are needed most. Many stories throughout the country give testament to the life-saving nature of an appropriate and timely response to medical emergencies in sport. While these stories are indeed uplifting, they are often the result of a great amount of effort dedicated to being prepared in the event of an emergency. During their 2017 Sports Medicine Conference, the Sports Medicine team at CoxHealth exemplified the old adage that “practice makes perfect”, and it was truly a sight to behold. 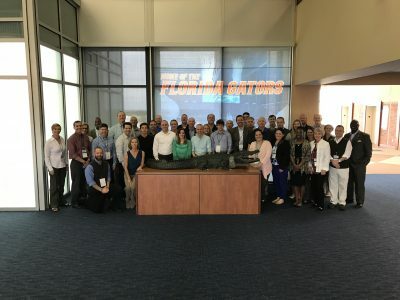 This team, led by Dr. Shannon Woods, was a shining example of how to collaborate with multiple health care providers in order to create, implement, and practice “best-practice” policies and procedures intended to promote athlete safety. 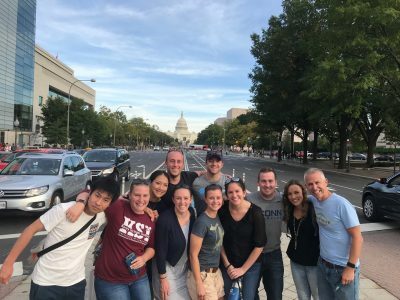 KSI was invited to travel to Springfield, MO to take part in the Conference, and it was inspiring to witness the rubber meet the road in regards to the practical application of research. 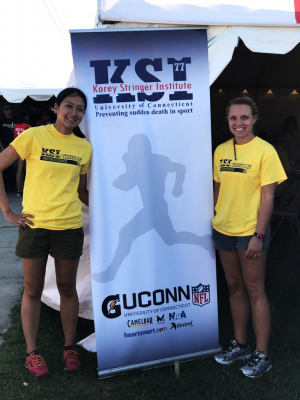 Throughout the two days of the conference, KSI staff led evidence-based educational sessions on exertional heat illnesses. KSI Vice-President of Communication and Education Dr. Yuri Hosokawa started off the conference on Friday morning with an evidence-based presentation about the prevention, recognition, and treatment of exertional heat illnesses. After the presentation, she led the participants through a practical lab session on the “best-practices” of responding to an individual suffering from exertional heat stroke (EHS). The participants attending the Friday session of the conference included athletic trainers, coaches, sports medicine physicians, EMS personnel, and school administrators from local area high schools, given that these practical skills would be vital for treating one of their athletes in the event they developed EHS while participating in sports. On Friday afternoon, CoxHealth staff led mock emergency scenarios where participants were able to gain hands-on practice of what they had learned in the morning. The participants took the scenarios seriously, which led to great discussions during the scenario debriefings. 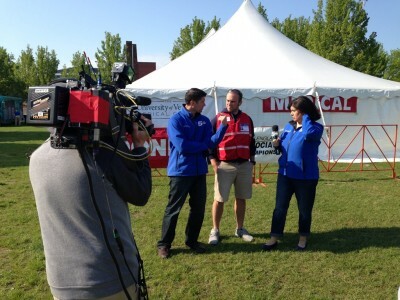 Additionally, the local Springfield news station recorded a news segment about the Conference in order to spread the word about emergency preparedness and athlete safety. On the final day of the conference, the participants included physical therapists, physicians from other specialties, parents of young athletes, and other interested members of the community. Yuri and I geared our presentations to a slightly different audience, but the message was largely the same: evidence-based policies and procedures can indeed save lives. Yuri and I were thankful to be invited to the 2017 CoxHealth Sports Medicine Conference, and proud to represent KSI at such an impressive collaborative event. Being in compliance with “best practice” emergency response policies is not always the easiest thing to do, but networks like CoxHealth Sports Medicine are proving that it can be done. Because of their efforts, the athletes they serve will undoubtedly be safe and well cared for. 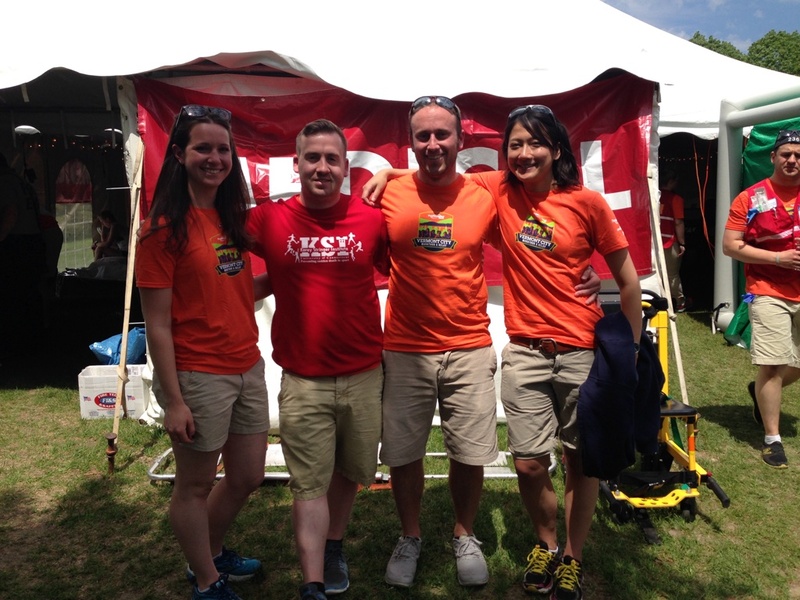 Korea Stringer Institute was represented for the first time at the 27th annual People’s United Bank Vermont City Marathon & Relay that was held on May 24th, 2015 in Burlington, VT. The race included 8,000 participants and began promptly at 8:00am with the Wheelchair participants, followed by the runners at 8:03am. 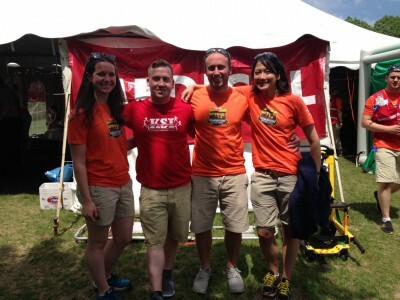 Members of the KSI, William Adams, Yuri Hosokawa, Luke Belval, and Andrea Fortunati worked in the main medical tent located at the finish line as well as at medical tents located at the midpoint of the race. This year, there were approximately 150 medical visits seen throughout the day with a total of six athletes transported to the University of Vermont Medical Center. Four cases of exertional heat stroke were seen and treated at the marathon. During all of these cases at least one member of KSI was present and aided in the treatment process. 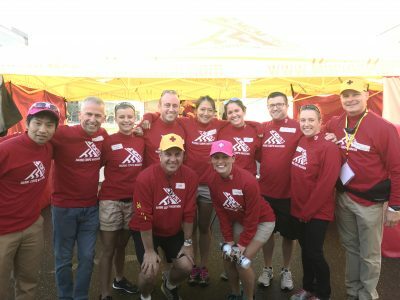 One case was treated at the medical tent located at mile 13 and the other three cases were treated in the main medical tent at the finish line. 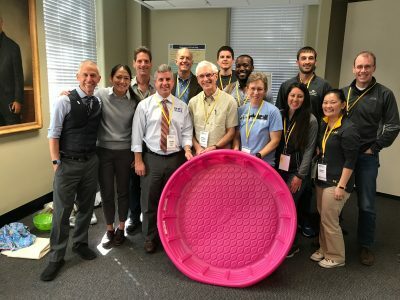 In the critical care tent there were two cold-water immersion tubs and members of KSI ready to implement proper protocols and procedures that have been profoundly researched to treat EHS. Treatment for the cases in the critical care tent where done with cold water immersion, which is found to be the quickest and most effective way to cool the body, and rectal thermometers were used for the body temperatures assessment, which is critical in assessing the body temperature in people who are suffering from exertional heat stroke. Once the athletes had been properly cooled, all EHS cases were transported to the UVMMC following the medical organizer’s protocol for a follow-up examination. This is the second of several marathons KSI will be involved with this year, the first being at the Boston Marathon. Other road races KSI are attending include the Lake Placid Ironman, the Falmouth Road Race, New Haven Road Race, the Marine Corps Marathon, and more.